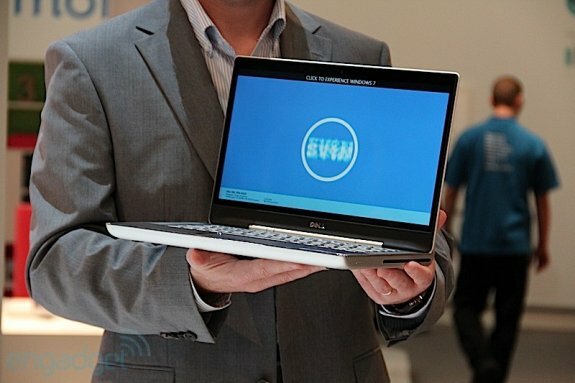 Engadget snapped some photos of Dell's upcoming XPS 14z. This 14" system will ship later this year. From the looks of it, it has the same industrial design as its big brother (and, some might say, a generations-old MacBook Pro), which, depending on your point of view, is either a good or a bad thing.